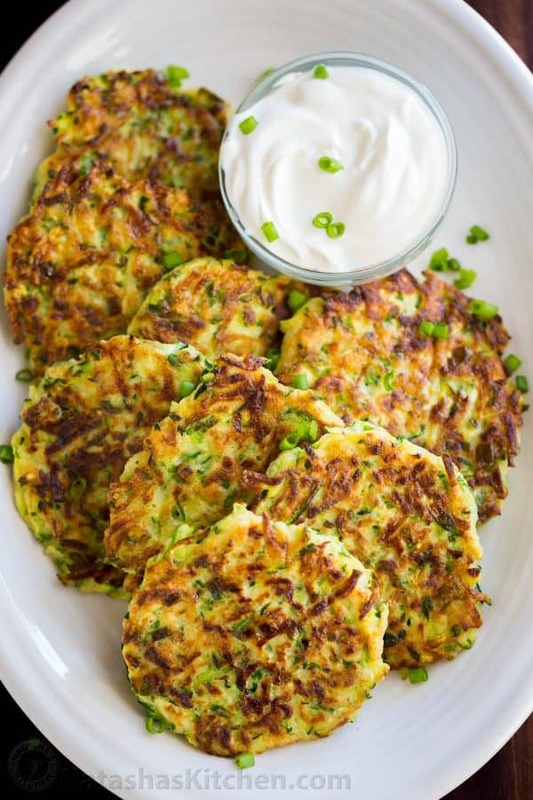 Zucchini Fritters have been a family favorite for years and are a staple in our home all summer long. We love the crisp edges, tender centers and how easy they are to make. They are excellent for breakfast, brunch or lunch. If you grow your own zucchini, you know they mass produce. We are always on the lookout for creative zucchini recipes like this one; fun, simple and so tasty! 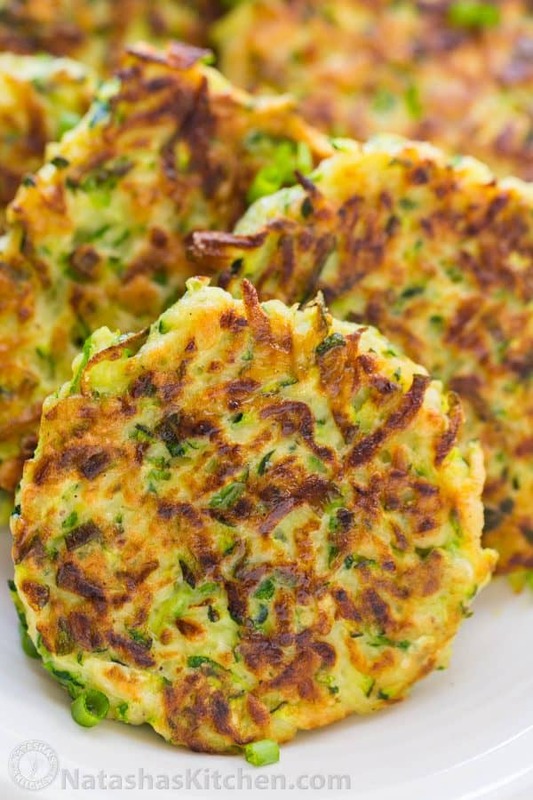 As soon as our zucchini are ripe, there is a batch of these fritters sizzling on the stove. P.S. The trick to getting these crisp around the edges is to squeeze out the most juice possible. You can do this with your hands over a colander or using a cheesecloth. You will be amazed at how much water there is! Homegrown zucchini tend to hold even more juice so you may need to toss in an extra zucchini just in case it shrinks down too much after draining. I hope you fall in love with this recipe. We love these best served with plain sour cream. 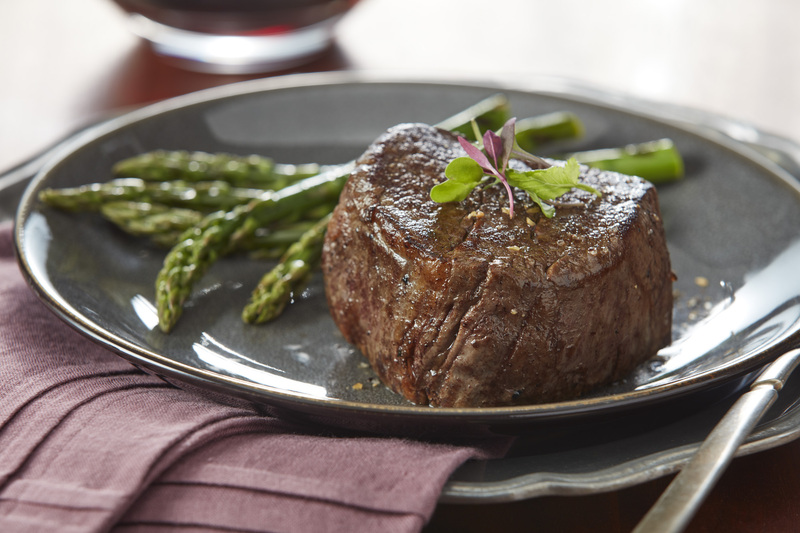 Sometimes the simplest recipes are the best and this recipe is proof of that! Bonus! These are kid friendly! 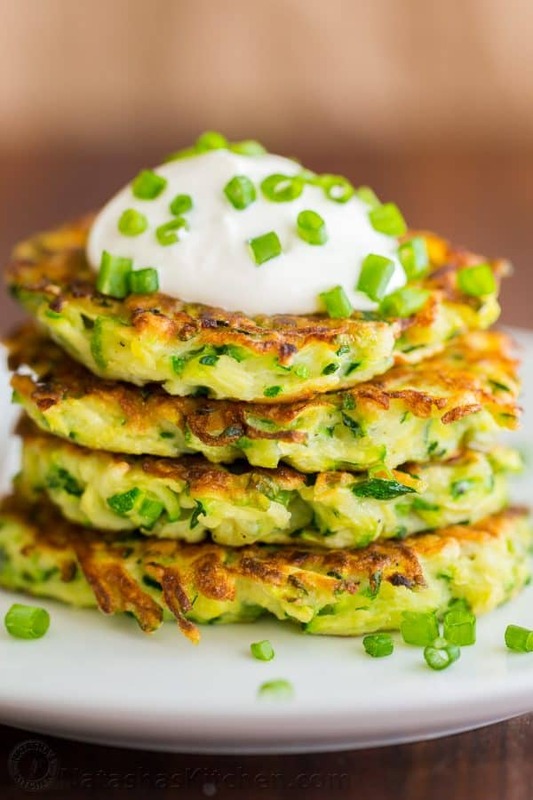 Our children love zucchini fritters which makes me feel so good knowing they are getting a healthy portion of veggies. I heard about this recipe through Tanya (a gal from church) who got it from Smitten Kitchen who adapted it from Simply Recipes and we have since adapted it to feed our crowd. Good recipes travel fast! 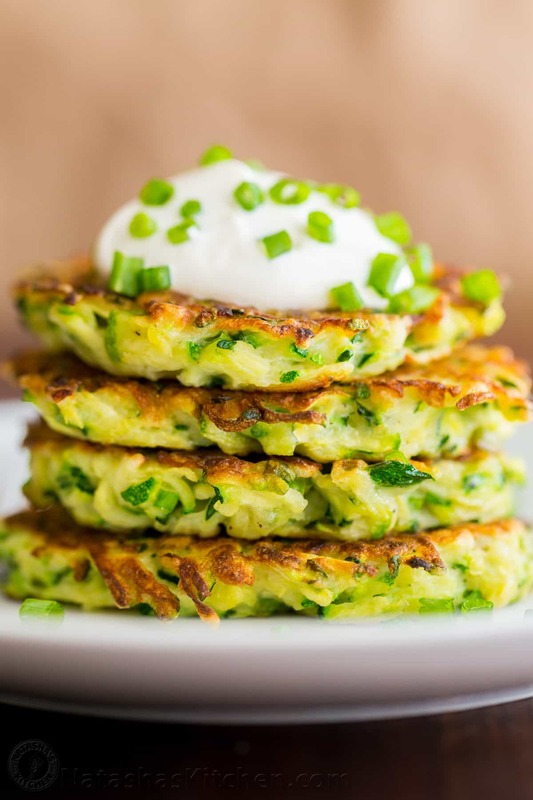 Print Zucchini Fritters (VIDEO) 4.9 from 11 reviews Prep time: 15 mins Cook time: 24 mins Total time: 39 mins Zucchini Fritters have been a family favorite for years and are a staple in our home all summer long. We love the crisp edges, tender centers and how easy they are to make. Author: Natasha of NatashasKitchen.com Skill Level: Easy Cost To Make: $4-$5 Serving: 25 to 30 fritters Ingredients 2 lb zucchini (about 2 large or 5 medium) 1 tsp plus ½ tsp salt 2 large eggs, lightly beaten ½ cup chopped green onions 1 cup all-purpose flour 1 tsp baking powder ½ tsp ground black pepper Olive oil for sautéing Sour Cream, to serve Instructions Wash zucchini and trim off ends. Grate on the large holes of a box grater or using the grater attachment for the food processor. Place zucchini in a large mixing bowl, stir in 1 tsp salt and set aside for 10 minutes. After 10 minutes, squeeze handfuls of zucchini tightly over the sink to remove extra water. It helps to wring it out in a cheesecloth if you have one. It is impressive how much water comes out! You should end up with 3½ to 4 cups of squeezed dry zucchini. Transfer to a large mixing bowl. Add ½ cups chopped green onion and 2 lightly beaten eggs. In a small bowl, stir together 1 cup flour with 1 tsp baking powder, ½ tsp salt and ½ tsp black pepper, or season to taste. Add flour mixture into zucchini mixture and stir until well combined. Place a large heavy bottomed cast iron or non-stick skillet over medium-high heat*. Add 2 Tbsp olive oil over medium high heat. Once the oil is hot, add the zucchini mixture a heaping tablespoon at a time** and flatten out the tops slightly to make them pancake shaped. Sauté 3-5 minutes per side or until golden brown. If they brown too quickly, reduce the heat. Serve warm with a dollop of sour cream. Notes *Cooking the fritters in 2 separate skillets will cut the cooking time in half. If you love zucchini, you will enjoy these 10 surprising things to do with zucchini. Q: What is your favorite zucchini recipe? We are always looking for creative ways to use summer zucchini. I would love to hear from you in a comment below. The post Zucchini Fritters (VIDEO) appeared first on NatashasKitchen.com.